Although we still recommend that the best thing a non-skiers can to do in Méribel, is to book a lesson. We understand that nobody can do everything and that includes skiing or snowboarding. However, we believe that everyone can do something, so here’s our guide to non-skiing activities in Méribel. 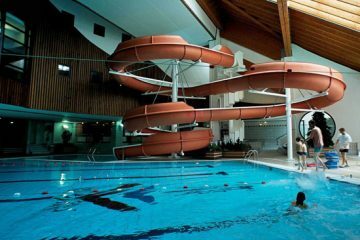 For non-skiers or family’s the Olympic Centre has an indoor swimming pool, ice rink, bowling alley, climbing wall and gym. 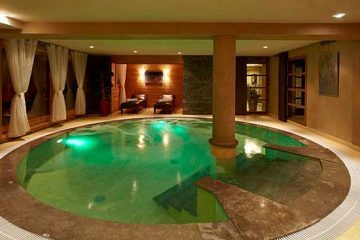 There is also a spa where you can relax in the sauna and jacuzzi or treat your self to some beauty therapy. Visitors will also discover over cinema showing featured films in english, over 80 Shops and a weekly market selling local cheeses, meats and wines. There’s a large indoor swimming pool that’s open seven days a week. One part is equipped with lanes, for people who want to train. And, the other area is for basic splashing around and family fun. The bowling alley and sports bar are attached to the Parc Olympique. 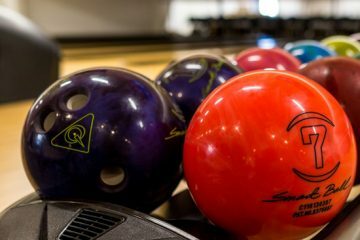 There are six bowling lanes, pool tables, video games and large screens, broadcasting live sport. Opens at 4pm or 11am on bad weather days. 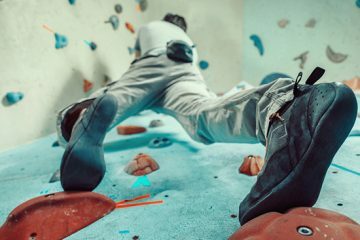 If you want to have a bit of fun, head to the indoor climbing wall. It’s available to all adults and children over the age of 6. Access is free for experienced climbers and lessons are available for beginners. If you have energy to burn after a day on the slopes, Meribel has a large fitness area within the Olympic Centre. 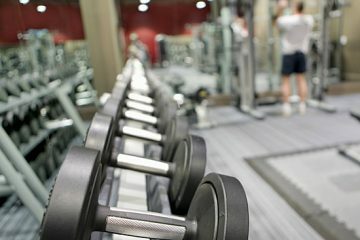 It is well-equipped with cardio machines, weights and Power Plates. Aqua bike classes are available. Ice skating is a great activity of all the family but if you’d rather spectate, there’s plenty of seating. 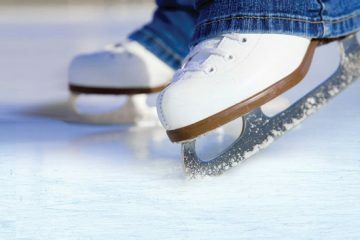 The ice rink plays host to weekly ice hockey matches so you can watch the pro’s in action. 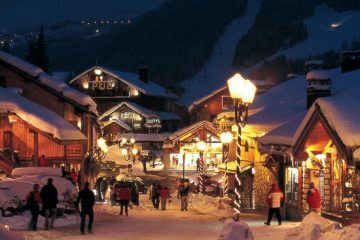 Meribel has a great selection shops including numerous sports shops selling ski and snowboarding clothing and equipment, inviting bakery’s, coffee stops plus several gift shops and other shops selling local produce. Treat yourself to a wide range of treatments delivered by professionally trained therapists. Designed to revive your tired and tender muscles, replenish your energy levels and leave you looking and feeling great. Indulge yourself with a Spa treatment at the Hotel Allodis. Allow yourself to be pampered by massages, beauty and spa treatments all designed by Clarins. This luxury spa is the prefect place to relax. 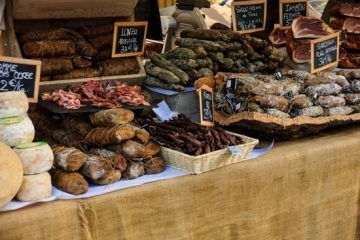 On a Tuesday and Friday there’s a delightful small market in the centre of Meribel. Many of the stalls will have a great selection of local cheeses, cured meats, confectionery and the occasional clothing bargain. There is also the opportunity to experience Meribel and its surrounding area’s of beauty from a different perspective, out door activities include dog sledging and paragliding. 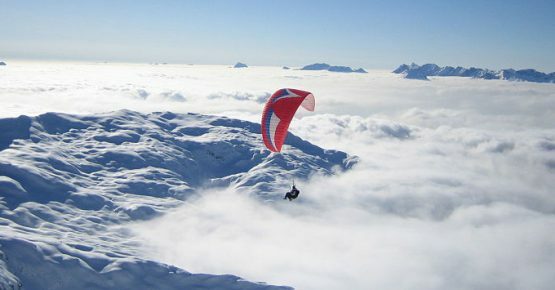 If you are looking to try something new, then paragliding could be for you. It provides the ultimate adrenaline rush as you soar high above the ski runs. This popular activity is very safe and one you will never forget. 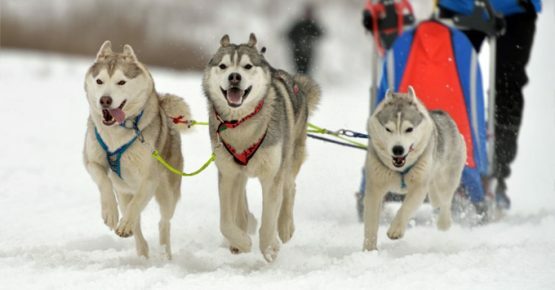 Take control on your own team of huskies as they pull you stunning forest tracks. Or, you can leave all the hard work to an experience guide and just enjoy the ride.